Early attention to performance issues and implementing spindle remanufacturing procedures can help machine tool operators extend the life and performance of their spindles. 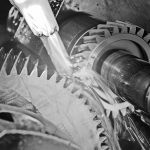 For most manufacturers, including those that produce gears, the productivity of their CNC equipment can be measured in fractions of seconds, including not only the cutting or grinding cycle times, but even the intervals between tool changes. 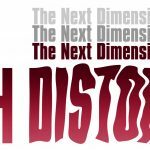 The performance of the spindle — the workhorse of the CNC machine — has a dramatic impact on that productivity. 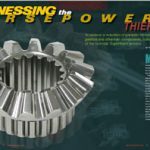 When operating problems, such as excessive vibration or chatter, hinders machining efficiency, productivity may be crippled until the spindle is replaced. 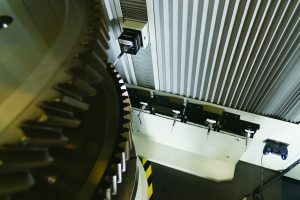 If no spare is available, repairing or remanufacturing the spindle could take weeks — effectively putting a machine out of business in the meantime. 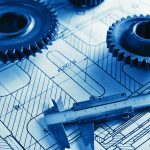 Hence, getting longer life and optimum operating performance from spindles is a worthwhile economic goal for gear manufacturers. 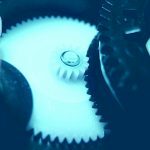 When it comes to gear machining, which is often performed on CNC equipment, it is vital that the CNC spindle operates properly, is accurately mounted and aligned, and is free of chatter or vibration. Otherwise, serious problems in the final gear product can occur. 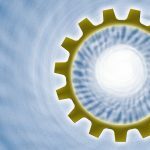 For example, unwanted gear backlash can result in errors in profile, pitch, tooth thickness, helix angle and center distance, and runout. 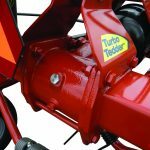 Improper backlash can lead to excessive gear wear or possibly lead to spalling or even consequential machine damage. 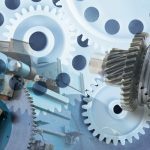 Problematic or failed gears can disrupt the production of a machine or even an entire plant, resulting in unscheduled downtime, costly equipment repair or replacement, and exorbitant production losses. 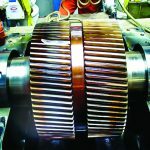 Therefore, proper attention to the maintenance of CNC spindles and related equipment is critical. 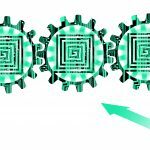 The following guidelines can help machine operators achieve those goals. Normally when a customer pulls a spindle, it is because of part quality issues and/or intensified noise level. Another immediate and serious consequence of chatter relates to spindle efficiency. 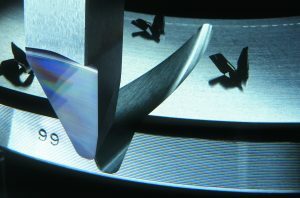 Many manufacturers deal with chatter by setting their machining parameters low. Therefore, instead of tool strength and spindle horsepower defining the metal removal rate, chatter becomes the limiting factor that keeps the process from reaching its potential. 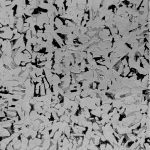 “Cutting tool chatter and spindle vibration are indicators that a spindle requires attention or a catastrophic failure can occur,” said Kirkpatrick, a CNC machine spindle expert with more than 30 years of experience. In some cases when vibration does not cause a part quality problem, operators have been known to run the machine until it catastrophically fails, which is an expensive decision. 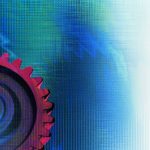 The solution for operators of CNC equipment is predictive maintenance. This requires regular monitoring of operating parameters and maintaining disciplined, detailed records. 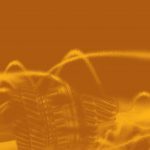 For example, vibration analysis should be monitored and recorded at appropriate intervals, perhaps quarterly or even monthly. 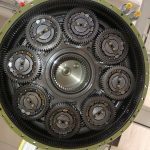 When CNC spindle repair or replacement is needed, a spindle remanufacturing specialist can often provide more comprehensive spindle services, sometimes also including repair of related motors, encoders, proximity sensors, and drawbars. Some spindle remanufacturers, such as Superior Spindle Service, offer one-stop repair services. 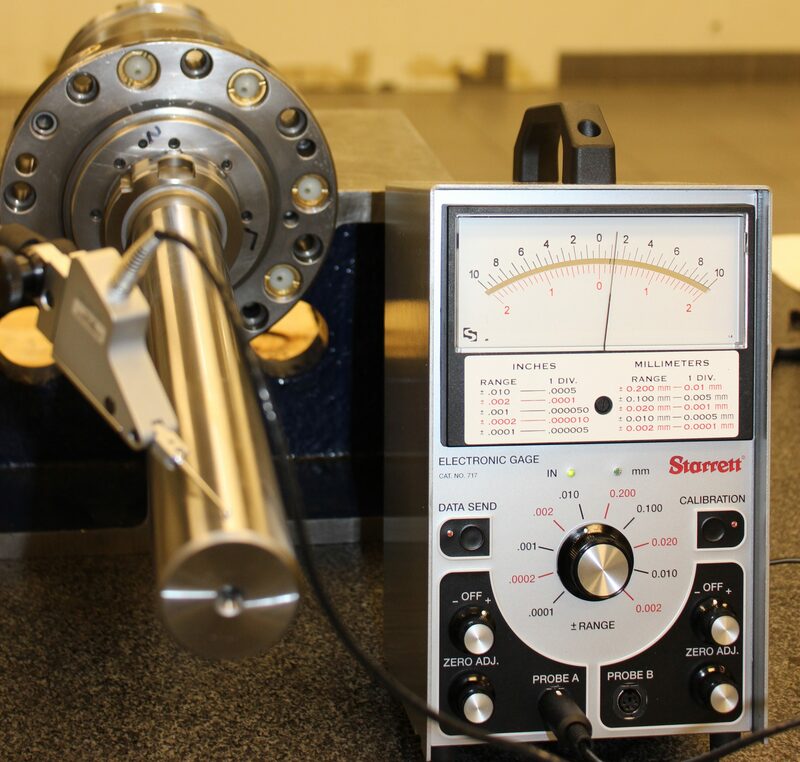 Because there is a direct relationship between spindle performance and the proper function of these other components, it is critical that the precision spindle repair facility is able to evaluate and service all spindle components. The evaluation process begins with disassembly of a spindle that is out of spec or failed. 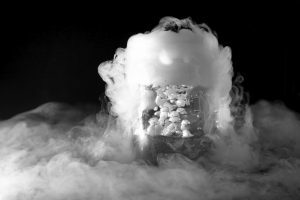 The evaluation could include the motor (surge test), drawbar (retention force), and all electronics such as encoders, proximity sensors, and bearing sensors. It is essential that spindles are reassembled in a clean work environment. For example, at Superior Spindle Service, a class 10,000 clean room is used for inspection and assembly. The clean room is designed to prevent any airborne contaminants and humidity from affecting spindle quality and performance and further ensures that each spindle is returned to precise OEM specifications. Kirkpatrick said that there is much room for Kaizen-type improvement throughout the remanufacturing process. 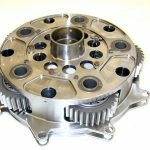 In one case, his firm was working with a major automotive manufacturer who was experiencing excessive downtime — over 31 hours — each time they had to change a spindle. Superior Spindle Service was able to extend spindle life by incorporating specific modifications. As a result, the customer’s average spindle downtime was reduced to less than 10 hours, an accomplishment for which the spindle remanufacturer received a Kaizen Award. 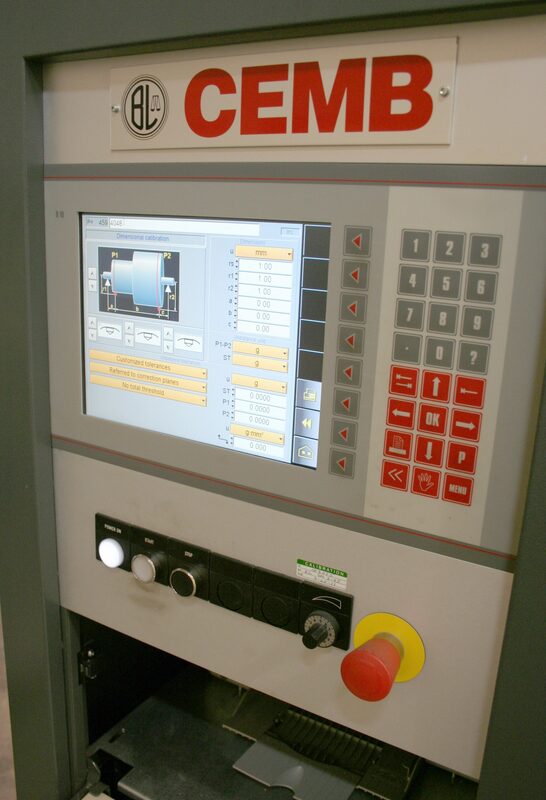 For every CNC spindle repair, customers should expect to have a detailed failure report including text and photos. Kirkpatrick said that his firm also provides customers with recommendations that may increase spindle service life. In some cases, application engineers might suggest ceramic (silicon nitride) ball bearings be used to replace conventional steel ball bearings. The ceramic ball bearings have 30 percent more mass than steel ball bearings and allow spindles to operate at higher speeds. After spindles are remanufactured, it is vital that they be thoroughly tested and verified. If related assemblies are in question, such as electronics or motors, those should be tested and verified as well. Each rebuilt spindle needs to be thoroughly “run in” at the operating speeds as they were designed. Vibration analysis and temperatures are monitored throughout the run-in procedure and may take up to 18 hours to complete. Before leaving the testing facility, detailed reports should be generated for verification by quality assurance technicians. 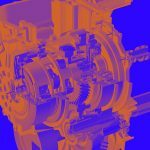 To ensure minimal downtime and maximum productivity, the procedures mentioned here will increase mean time between spindle failures — a cost-efficient solution for gear manufacturers. FOR MORE INFORMATION, contact David Kirkpatrick at Superior Spindle Service LLC at dkirkpatrick@superiorspindle.com or go to superiorspindle.com. 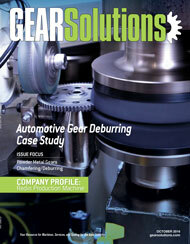 Case Study: Circle Gear and Machine Company and Pequea Machine Inc.